Across the Central West of New South Wales, there are settlements disappearing. Towns that once were there are no longer. In their wake, they leave behind “very little evidence,” Shaun Prescott tells me. “But you can see their names often on Google Maps.” Places like Green Valley, Tambaroora, and Sofala leave behind a shadowy, virtual existence. Ghost towns, haunting the web like the Facebook profiles of friends who have passed away. “There’s one in particular called Meranburn, which was on the outskirts of a very small town that I grew up in called Manildra,” Prescott recalls. “And I remember just looking – because I’m obsessed with maps in general – and I remember just looking in the area and seeing this name Meranburn. I didn’t know what it was, what the name meant, why it was there. 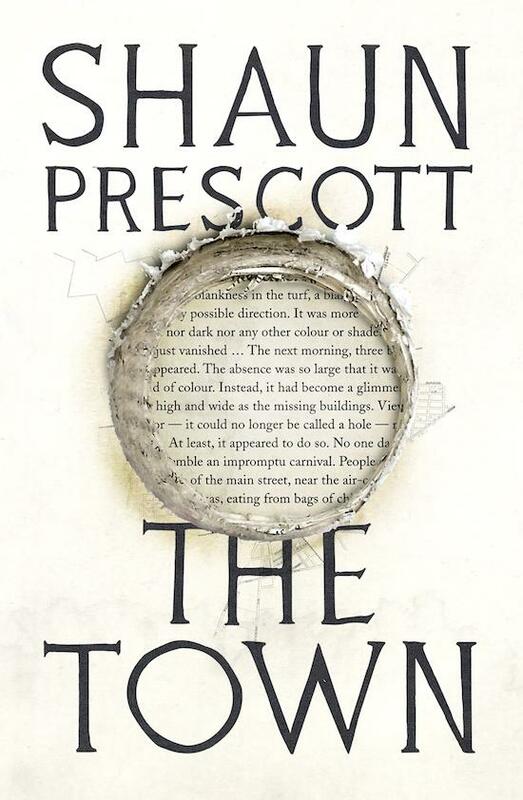 Prescott’s new novel, The Town is about a man living in an anonymous town in the Central West who is, himself, writing a book about disappearing towns, about the disappearing towns of New South Wales’s Central West. And then that town, the town he’s living in, starts itself to disappear – like, literally. Before his eyes. Shimmering holes, like windows into the void, gape on the high street. The town that is the subject – and in a sense the main protagonist – of The Town, like many small towns, is a town without a future. But it is also a town without a past. As the narrator’s research turns increasingly towards his own habitat, none of his co-citizens seem to know the origins of the town, why people settled there, nor why. They seem actively to not want to know. Even as a child, he was always writing fiction. 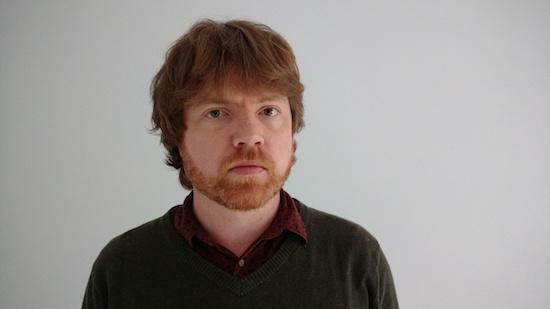 But for most of the 00s, Prescott’s only published writing was for Crawlspace, a website he edited “mostly about strange / weird / beautiful / repugnant Australian music” (as it says on the now-defunct site’s About page). Some of the most evocative scenes in The Town are about music. The local radio DJ Ciara who invents myriad fictional groups playing a practice organ through a reverb pedal; a strange band called the Out of Towners who played music that was “alien, remote, like nothing else the audience had ever heard” using just two guitars and a recorder. But what stays with you is the book’s slow conjuration of a place at once very specific, and totally anonymous – like Kafka’s own Village in The Castle. “The Central West of New South Wales is kind of the first rural farming area in Australia,” Prescott tells me. “So there are lots of instances of towns popping up and then disappearing. Lots of train stops that the train no longer stops at but they still retain their platform, and things like that. And that aspect of me being interested in a place that I’d spent a very long time in, a sudden curiosity that had never occurred to me before, dovetailed with a broader concern with the hidden aspects of history – in Australia in general, but particularly the Central West. In the acknowledgements at the end ofThe Town, alongside the usual thanks to friends, family and editors, Prescott adds, “This book is set predominantly on the land of the Wiradjuri people, to whom I pay my deepest respects.” It’s a timely reminder – and a hint towards what lies behind that municipal amnesia. “That’s why the town’s folk believe they have no history,” Prescott says – because that history is too bloody to confront. So The Town is a book about small towns that paints a picture a picture of the grinding malaise of small town life that might be recognisable to people more or less anywhere in Europe or North America. “The same branded restaurant outlets and the same branded clothing outlets and the same plaza companies and the same supermarkets.” But it’s also a book about Australia and about the hole left in history by the trauma of the country’s founding.